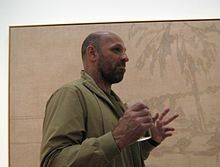 There is a fascinating case in in Chicago where famed artist Peter Doig is being sued for millions of dollars. The reason? He had the audacity of denying that a painting is his own. That’s right. Doig denied that a painting of a landscape was done by him as a young man in Canada. With past Doig paintings going for as high as $25 million, a former correctional officer Robert Fletcher, 62, wants a legal determination that Doig either can’t or refuses to acknowledge his own work. Fletcher, who bought the painting for $100 in 1975, is pulling Doig into court and a federal judge has scheduled the matter for adjudication. I have never seen such an attempt at authentication-by-litigation lawsuit. Many years later, a friend saw the painting and said it was from a famous artist. Fletcher and an art dealer said that the painting reflects Doig’s signature, magical landscapes. However, when the painting was put up for auction, a picture was sent to Doig, 57, who responded “Nice painting. Not by me.” His paintings like the one to the left often involve landscapes and abstraction. The denial spoiled the deal worth tens of millions. Fletcher insists that Doig is misremembering events when he did LSD. Fletcher says that he was watching tapes of Doig and is “100 percent convinced that this is the man and that this is the painting I own.” His lawyers insist that there is a gap in Doig’s teenage years in Canada that coincides with the period when this painting was purchased.Fletcher says that Doig was taking art classes at a local college, Lakehead University. Doig says it is just a guy with a similar name and insists that, while he grew up in Canada before attending art school in England, he was only 16 or 17 and lived in Toronto. He insists that he has never been to Thunder Bay and more importantly he was never incarcerated. That last point is key since there are records of incarceration and that connection is central to Fletcher’s account. Doig also maintains that he did not start painting on canvas under late 1979 and, until 1979, did only pencil and ink drawing on paper. He also noted that he has never used acrylic paint on canvas. Further undermining the case is the fact that Doig’s lawyers have identified a Peter Edward Doige, who they say is the real artist. Doige died in 2012 but his sister confirmed that he had attended Lakehead University, served time in Thunder Bay and painted. Moreover, there is the expected testimony from the prison’s former art teacher who says that he recognized and remember Doige from his class and recalls his painting this particular painting. With no record of Doig being incarcerated at the prison, it is hard to see how Fletcher could prevail on these facts. Conversely Doig has records, letters, and photos for the period of 1975-76 that refute suggestions that he was in Thunder Bay. Nevertheless, Judge Gary Feinerman of U.S. District Court for Northern Illinois has decided that the case warranted a trial. That presents a considerable financial burden for the artist who merely denied that a painting was one of his early works. I know the artist of this painting, its the deceased man who spells his name Doige. Its not the famous artist Doig.. This article doesn’t explain what the legal issue is. Can an artist be forced to authenticate a work? What is the plaintiff suing _for_? What relief can be offered/ordered? I’m unclear on what the court will do. Dan – my understanding is that by not authenticating it, Doig make the painting worth the $100 the guy paid for it originally. However, if Doig authenticates it, it could be worth over $1m. However, I am not sure the court can order him to authenticate it, though the trial might prove he did the painting. Artists destroy work all the time. I am not sure that not recognizing a painting would be any different. As to an artist and his work. Picasso was extremely prolific, even signing napkin doodles. One account is that an art dealer asked Picasso to authenticate one such. Picasso immediately said, “not one of mine.” He followed that by inquiring about the owner’s status with the dealer. The dealer said he was an important client, a very important client. Picasso signed. If Doige was in the slam, the Canadians SURELY must have his fingerprints! Have forensic-art-experts find fingerprints on the piece in question. Doig would reasonably agree to have HIS fingerprints taken for purposes of comparison. A) are Doig and Doige’s fingerprints those of the same person? B) If NOT, which prints are on the paint in the picture! Doesn’t seem particularly complicated to me. sigh. complications from my personal peanut gallery. a) if Doige was a juvenile, his records (if they still exist at all (expunging juv. records?)) could be sealed, including fingerprints. b) considering how long ago we’re talking about, any fingerprints taken that long ago may not ever have been digitized. chimene – the painting is in acrylics, so no prints. Paul, my concern was not whether Doig painted the picture. It was whether, even if he did, he could be sued, and on what legal theory he could be sued, if he was honestly mistaken in his denial. Henry – Doig seems to have an affirmative defense. However, the owner of the painting wants it to be authenticated as a Doig not a Doige, so he can sell it for a couple of million. Oddly enough, Charlie Chaplin was charged with not paying child support and even though he proved it was not his child, the court decided he should pay child support. Would it have made a difference if, instead of saying that he hadn’t painted it, he’d said that he does not recall painting it? It shouldn’t, because, unless he lied when he said that he hadn’t painted it, what he meant was only that he does not recall painting it. He should face liability only if he lied. Henry – at the age he would have been when the painting was done he was using only pen and paper. And he has never used acrylic. And the moral of the story is not to take LSD. Sounds like this is a case of harassing the artist. How amazing that an artist with the same name painted similar subjects and style, similar age, and also was in Canada. Should Doig be liable if he painted the work but honestly cannot remember having done so? If so, what is the legal standard: negligence? He could have forgotten without being negligent. Depending upon the circumstances (did he do numerous paintings around 1976; was he on LSD when he painted this one? ), a reasonable person might not remember a painting he’d done 40 years before. Henry – they key to the case is whether Diog did time in a juvenile facility where he painted it. This is something you would remember. probably the right call by the judge, not ripe for summary judgment because of conflicting “facts”. Interesting. There was an art forger in the 1940s who had to prove that he was a forger in order to not be charged with aiding the Nazi’s. Just finished reading “Provenance” about a con man who used one (and maybe more) painters who could paint in the style of the masters. The con man upped his game by twiddling with the archives of museums in order to authentic the fakes. An artist knows his work. Claiming early work can show how much the artist has grown. It can also prove that s/he didn’t come out of the womb with full artistry in hand. Whichever approach the artist takes is more a question of her/his ego. I think the only way to get control of our legal system is to somehow get attorneys to turn on themselves. It’s tough because they control the entire system. Take the artist’s fingerprints. Examine the painting for his fingerprints, imprinted in the paint. Give him a lie detector test. Estoppel. If the jerk has ever said that the painting was his work then he is estopped to deny that it is his work now. I hope the artist asks for expenses and those include his expertise in authenticating his non-painting. Bad call by the judge.